I do enjoy having ice cream once in a while. I wouldn’t say I’m a huge fan of ice cream though…I mean, I don’t usually get cravings for it. But when I came across this recipe from Kevin and Amanda, it piqued my curiosity. No-churn ice cream!? How is it possible to make ice cream without a machine? And from what I read, it’s good ice cream too! I just had to try it out and see for myself. It was exciting just trying to decide on the flavour combination. I wanted to use ingredients that I already had in my kitchen. Bailey’s? Butter Pecan? Rum and Raisin? Honey Lavender? Oooh…how about Salted Caramel?? 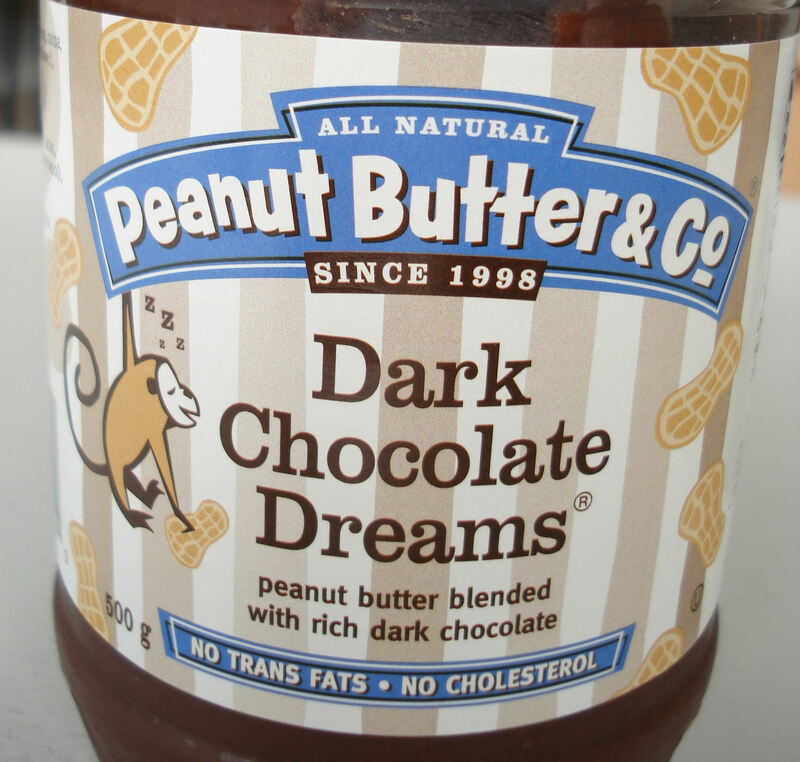 Then I found a jar of chocolate peanut butter that I’d bought recently as a spread for toast. I ended up not liking it, but I didn’t want to throw it out. Perfect – maybe it’ll taste better mixed in ice cream! I also had some leftover sliced almonds, which I toasted in the oven. All I can say is..YUM! For such a simple recipe that requires no churning and only two base ingredients, this was unbelievably good! And, just as I’d hoped, the chocolate peanut butter was a superb flavour addition to the ice cream. Beware – this recipe makes quite a large amount! 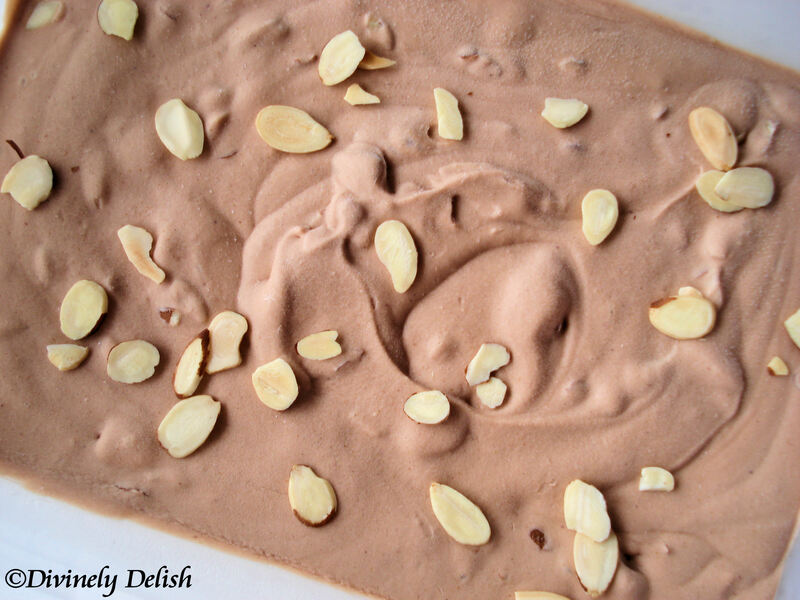 I’ve been raving to my friends about no-churn ice cream, and three of them have already made it! And now that the weather is getting warmer, I’ll definitely be trying out more ice cream flavours! 1) Whip heavy cream to stiff peaks in large bowl. 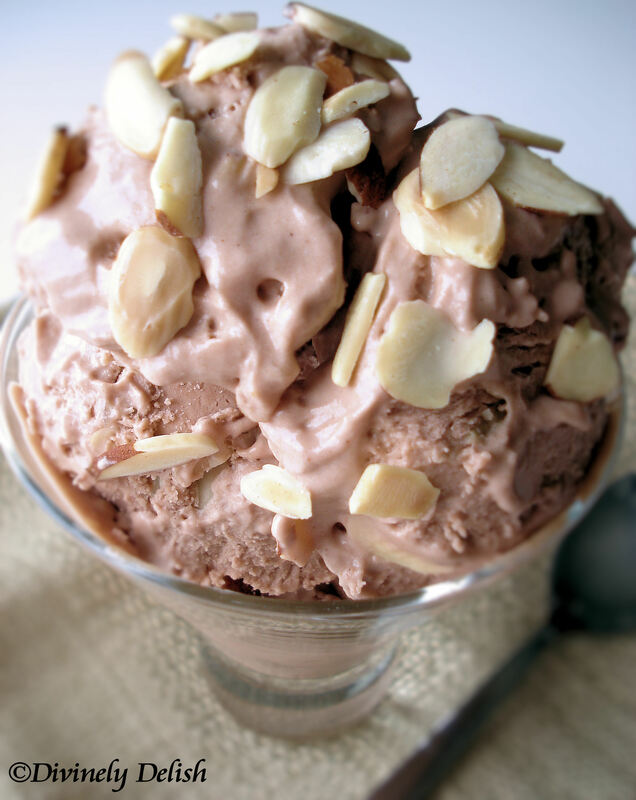 2) In another large bowl, whisk sweetened condensed milk, butter, “Dark Chocolate Dreams” and almonds. Fold in whipped cream. 3) Pour into a 2-litre container and cover. Freeze 6 hours or until firm. Store in freezer. 4) Serve garnished with additional toasted almond slices. Enjoy!